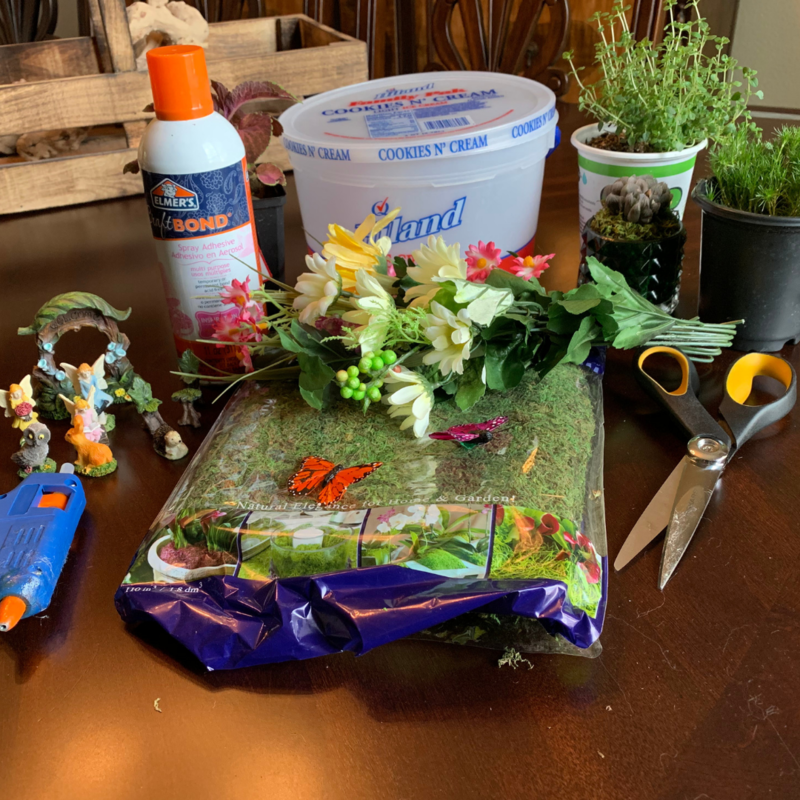 Creating a fairy garden is easier than you think. It’s also cost-effective when you recycle your Hiland Dairy containers! 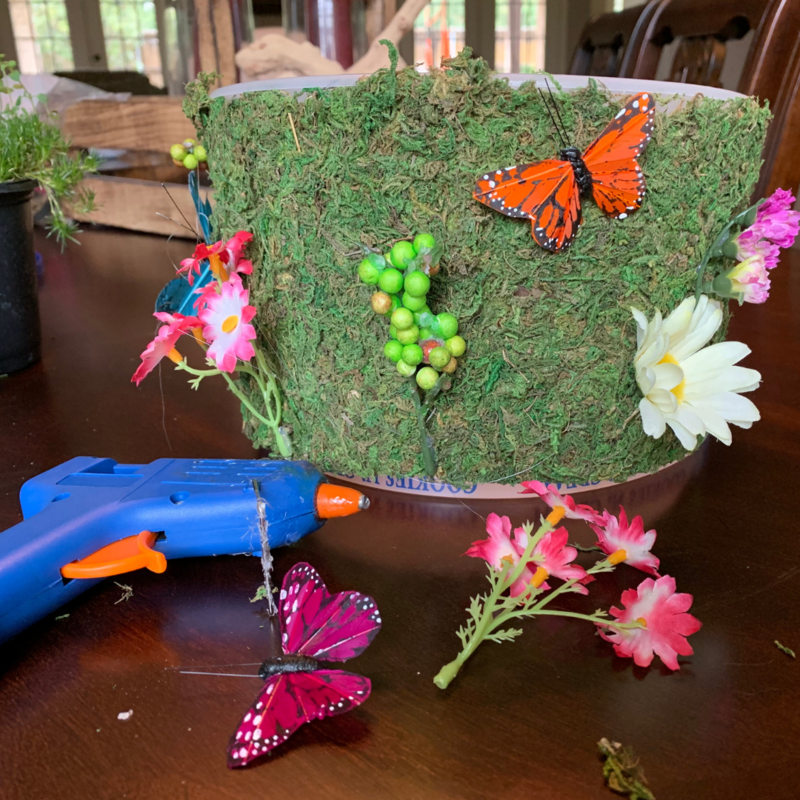 This whimsical garden is fun to assemble and your kiddos will have something to maintain all season long. It even adds a little charm to your outdoor space. Using warm soapy water to clean the pail. Towel-dry completely and remove the handle. Cut moss long enough to completely wrap around the pail. Cut any excess moss from around the bottom. 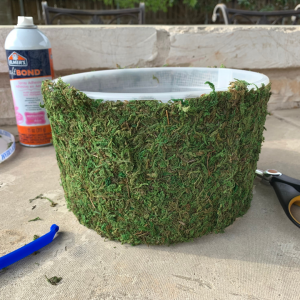 Adhere the moss to the pail and lightly smooth it out with your hands. Using a glue gun, adhere flowers and butterflies to the outside of the pail on top of the moss. 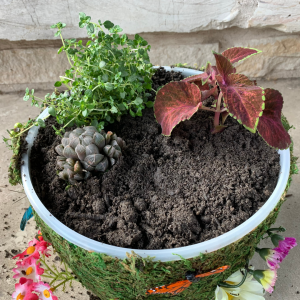 Pour dirt into the pail filling it completely to the top and add your plants. Pat down the dirt with your hands to even out the top layer. 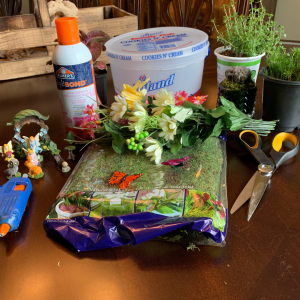 Place your fairies, animals, and furniture around the plants. 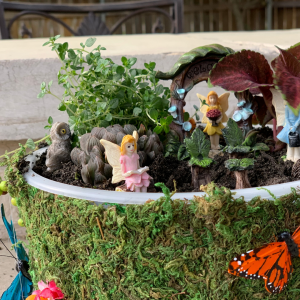 Enjoy your new fairy garden! 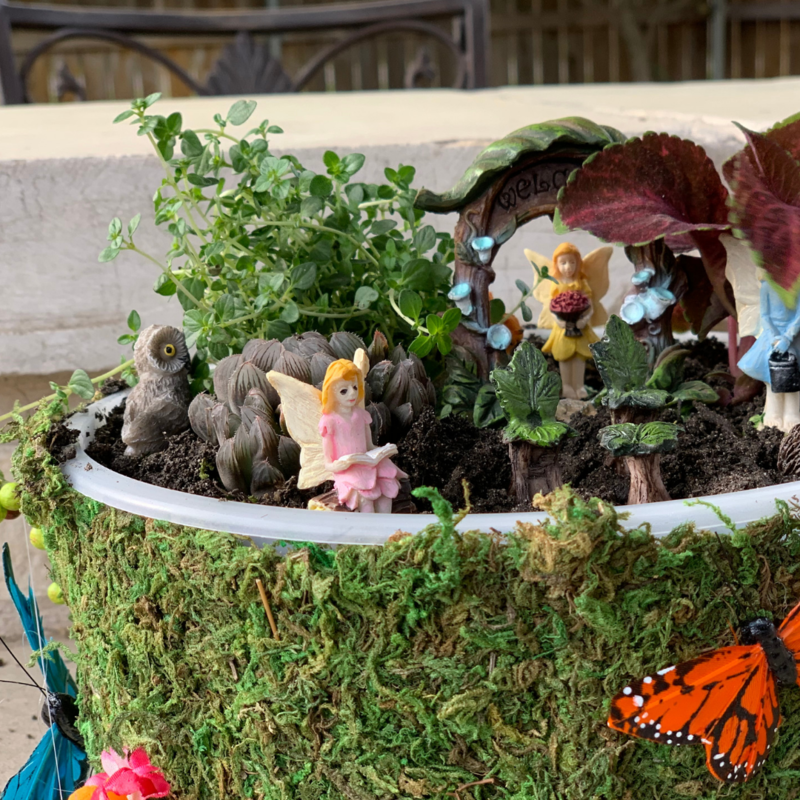 You can find miniature fairy garden sets at craft stores, dollar stores, discount retailers, and online.